Hi all! It’s been awhile.. but I promise I’m still here. Since my school’s gotten back in full swing it seems like there hasn’t been time to do everything I want to do and the blog has been falling through the cracks. Luckily, this means I do have plenty of content to share with all of you in the coming week! The preppy New Englander in me is all about the plaid as soon as temperatures drop each fall. 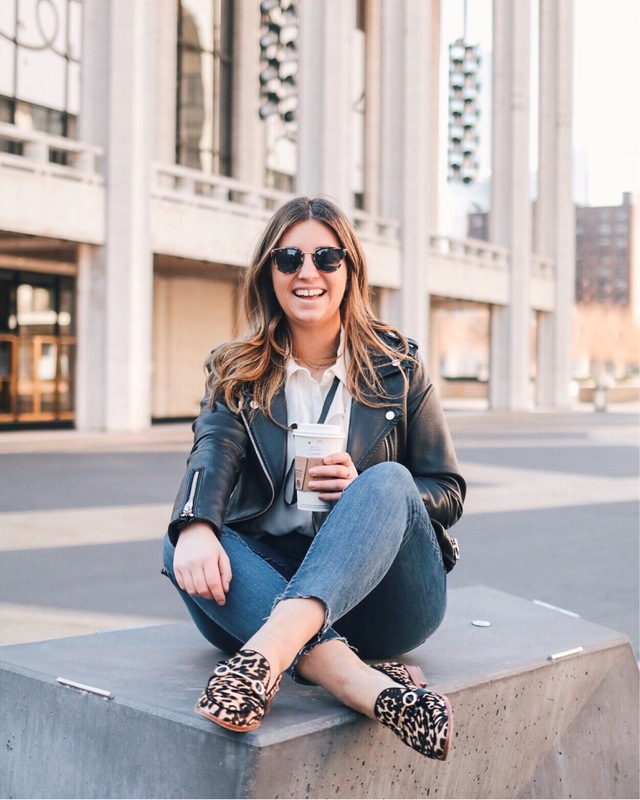 However, in NYC it always seems a bit ridiculous to pull out my plaid button downs and bean boots, so I love how this top pairs with edgier pieces like a leather jacket and ripped jeans. Unfortunately, this blouse is from Zara and I wasn’t able to find this top online, but I was able to find a couple different options that give a similar effect. I can also promise I’ll be styling it in a very different way while I’m back home in Massachusetts this weekend for the holiday, so expect to see it again soon!